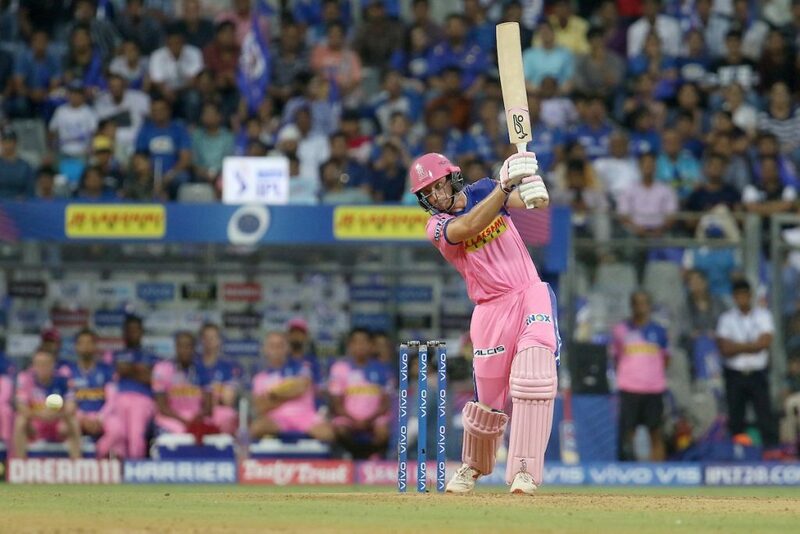 Jos Buttler scored a brilliant 89, as Rajasthan Royals defeated Mumbai Indians by 4 wickets at the Wankhede Stadium, Mumbai on Saturday. Rohit Sharma returned to the side in place of Siddhesh Lad for Mumbai, while Rajasthan included Liam Livingstone and Krishnappa Gowtham in place of Ben Stokes and Riyan Parag. After being put into bat by Royals skipper, Mumbai Indians opening pair of Rohit Sharma and Quinton De Kock got their team off to a blazing start with the duo adding 96 runs for the first wicket, before Jofra Archer provided the vital breakthrough by dismissing the home skipper for a well made 47. Rajasthan made a brilliant comeback by removing Suryakumar Yadav and big hitting Kieron Pollard, as the hosts were reduced to 136/3. The South African wicket keeper batsman reached his half century in just 34 balls. However in the 19th over the former was dismissed for a well made 81. His knock comprised of six fours and four sixes. Hardik Pandya scored a quickfire 28, as Mumbai Indians posted a competitive score of 187/5 in their allotted 20 overs. Archer was Rajasthan Royals best bowler as he claimed 3/39, while Kulkarni and Jaydev Unadkat claimed a wicket each. Chasing a score of 188, the pair of Ajinkya Rahane and Buttler made a fantastic beginning by putting on 60 runs in 38 balls for the opening stand, before Krunal Pandya broke the partnership by claiming the wicket of the visiting skipper for 37. The England wicket keeper batsman was involved in yet another valuable stand of 87 for the second wicket with Sanju Samson, before the former was dismissed for an electrifying 89. His knock came in just 43 balls. Mumbai Indians in the final stages made a brilliant comeback by claiming the wickets in quick succession of Samson, Steve Smith, Rahul Tripathi and Liam Livingstone as Rajasthan slumped to 174/6. With 14 needed of 11 balls, Shreyas Gopal held his nerve at the end, as Rajasthan reached the target of 188 runs with 3 balls to spare. Krunal Pandya was Mumbai Indians best bowler as he claimed 3/34, while Jasprit Bumrah bagged 2 wickets. Jos Buttler was declared the Man of the Match for his blistering knock.